Woodworm season is almost upon us! So here at Timberwise we thought it would be the perfect time to give you the heads-up to prepare for the famous wood-boring insect. The woodworm season usually begins between the months of March and April. 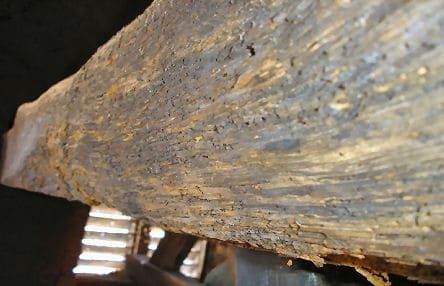 It is during this time the woodworm begins to arise from the timber where it has been hiding over the winter months. 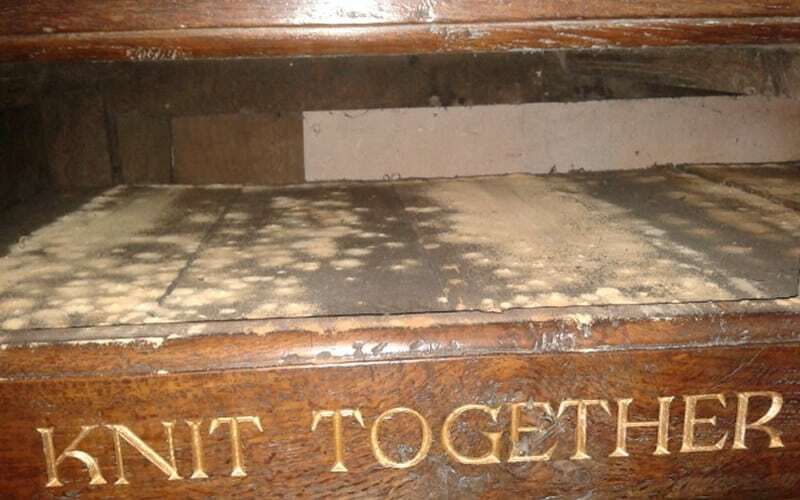 Upon its exit the woodworm will leave several distinct indications of infestation, allowing you to identify and eradicate the problem as soon as possible. 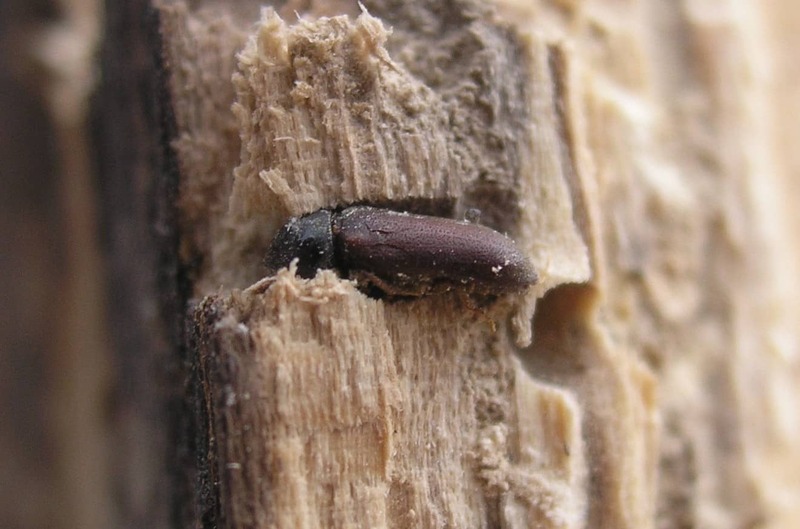 The term ‘woodworm’ is loosely applied to describe all wood boring insects. The most common wood boring insect in the United Kingdom is the Common Furniture Beetle. Don’t be fooled by the name, this beetle won’t only infest your furniture but all of your structural timber if given the opportunity. This could potentially lead to severe structural damage, hindering the strength and stability of your home. With this being said, it is essential that the correct identification of a woodworm infestation is commenced at the earliest opportunity. Signs of woodworm infestation vary depending on the species of the woodworm however, there are common indications that we can look out for. 1)Small round exit holes found in timber. 2) Sawdust in a powdery form known as frass. Frass can be found both within the holes or dispersed around the timber. 3) Infested wood will become weak, brittle to the touch. 4. 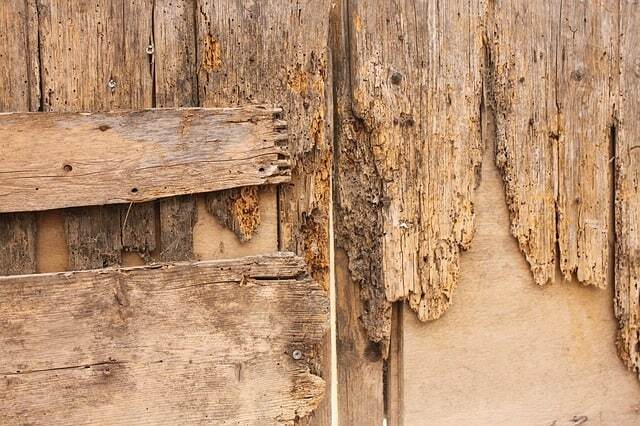 )In mating season you may be able to find actual live woodworm emerging from the holes. In other cases dead beetles may be found surrounding infested areas. At Timberwise we pride ourselves in being the people’s choice. This reputation is furthered year upon year due to our customer centric approach. Should you be in any uncertainty with regards to the existence of woodworm in your home, it is recommended you let our specialists oversee the problem. At Timberwise we will be able to identify the nature and severity of the infestation and propose a remedial solution alleviating any worry or concerns that you may have. The most common woodworm treatment used by our remedial specialists is a water based micro emulsion insecticide which is brushed or sprayed onto the area of infestation. For more information about Timberwise and the services we provide feel free to contact us for any help and advice.